I have decided there are two types of people in the world. There are the people, like myself, who love Disneyland, appreciate the magic, the enthusiasm, the shows, the details, the cleanliness and sparkle that Disneyland has to offer. And then there are the other group of people who, like my brother, would rather spend the day at dirty, trashy six flags because it has more thrilling rides. Guys, I am the president of the first group. I LOVE Disneyland. I don't even have to go on the rides, I am happy to just walk down main street, look at all the details and I LOVE the parades and shows. This is the second year we have taken advantage of living in southern California and made a trip and this time we did two days and it was, I'll say it again MAGICAL! 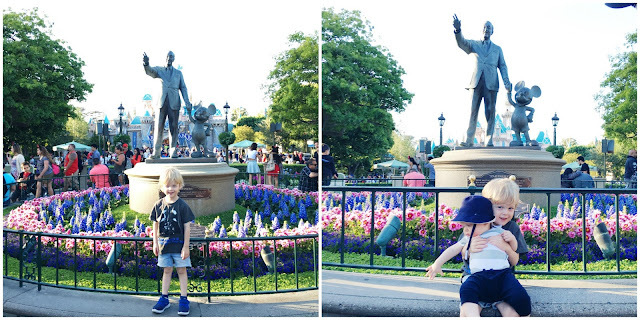 We spent the first day at Disneyland and the second at California Adventure. 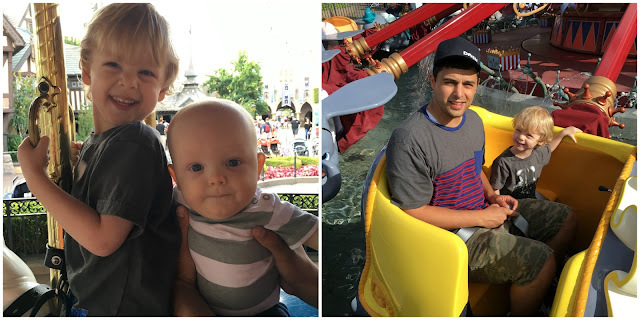 Everyone told us we were crazy to go with a 7-month-old but I was so surprised at how many rides all four of us could go on. It was SO exhausting. I don't say the word literally lightly but my legs LITERALLY gave out on the walk back to our hotel at the end of the second night and I had to (with Patrick sleeping on my chest in the carrier) lay across the second seat in our stroller so Ben could push all of us the rest of the way! Totes worth it. -Just basically watching Everett the entire time. He was so excited about everything. I screenshotted his face so many times in my brain. -Having Ben to ourselves for two days straight. -Watching this video Ben took of Everett on Gadget's Go Coaster. I cried laughing when he showed it to me. -My favorite rides at Disneyland were Dumbo and It's a Small World. I don't know why, I know they are lame but I love them. Although we didn't do Splash Mountain, Matterhorn or Space Mountain. Hashtag kids. -Everett LOVED the Haunted Mansion. When we first got in there and he was scared we were like 'uh oh this was a mistake' but when we had time for one more ride at the end of the night, he chose The Haunted Mansion again even against our urging, he insisted the ghost ride was his favorite. -Ben taking Everett on Star Tours and Everett's vivid description after. 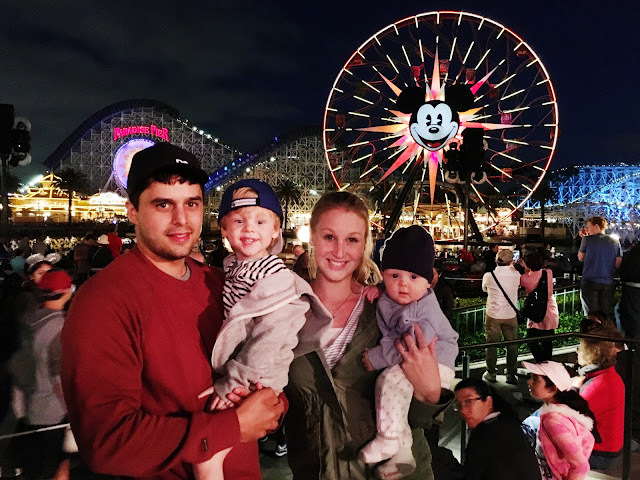 -While both boys were napping, Ben and I took turns with our fast passes and went on California Screaming roller coaster. I have not felt feelings like that in a LONG TIME. I couldn't catch my breath and screamed the whole time. I'm too old for that but it was actually SO FUN! -Favorite rides at CA were The Little Mermaid (we went 3 times), Radiator Springs (so so fun) and California Screaming. -As someone who has watched Cars more times than I can count, I loved Cars Land and just walking around there. So detailed and cute. -Eating! Favs were the Matterhorn Macaroon from Jolly Holly Cafe, Corn Dog from Little Red Wagon, jalepeno and cheese Mickey pretzel and the Mickey beignets. -World of Color is my favorite part of both days and I will never not be absolutely blown away by it. (so many more tears) it is incredible and an absolute must-see in my opinion. 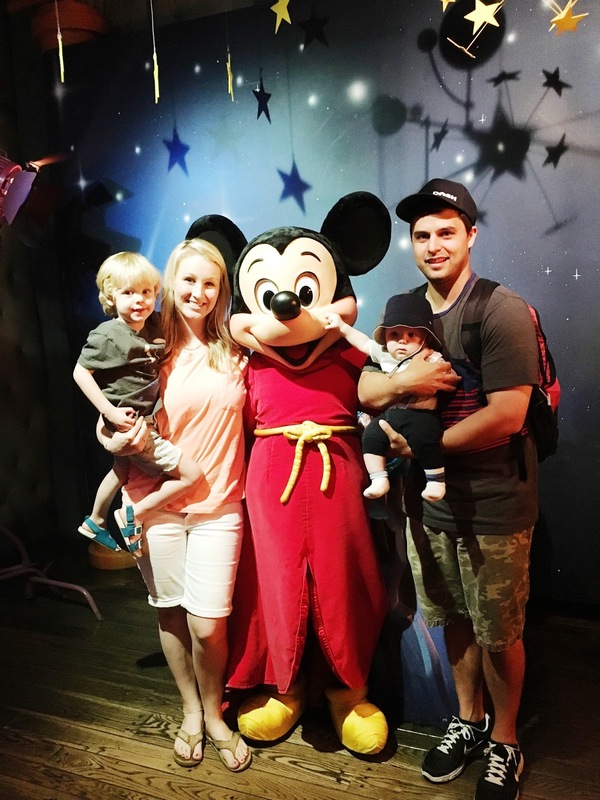 I really think we are on our way to be a Disney die-hard family. Can't wait till next time. Hakuna Matata friends! Eat your heart out Six Flags!